Do you know how people are reacting to the slides you share with them? Even if they actually see them or how long did they take to do it? 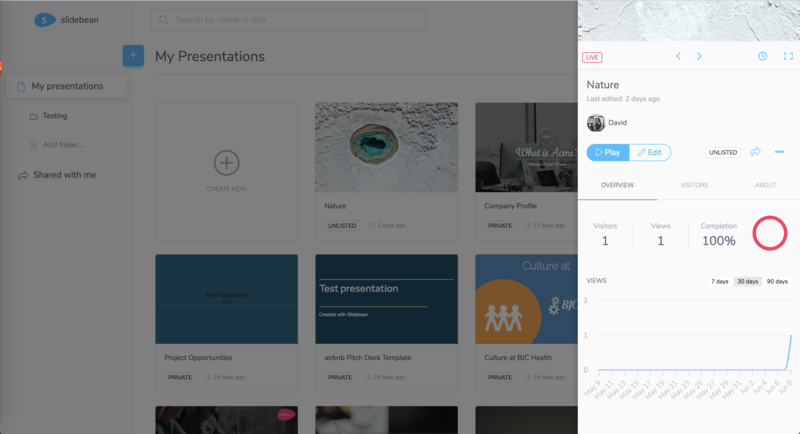 Slidebean's Analytics will let you track these and other stats on your presentations. To access a deck's Analytics, just find it on your dashboard home page and hover over it, then click on "Track". A panel will show up on the right-hand side of the screen for you to navigate through the details. 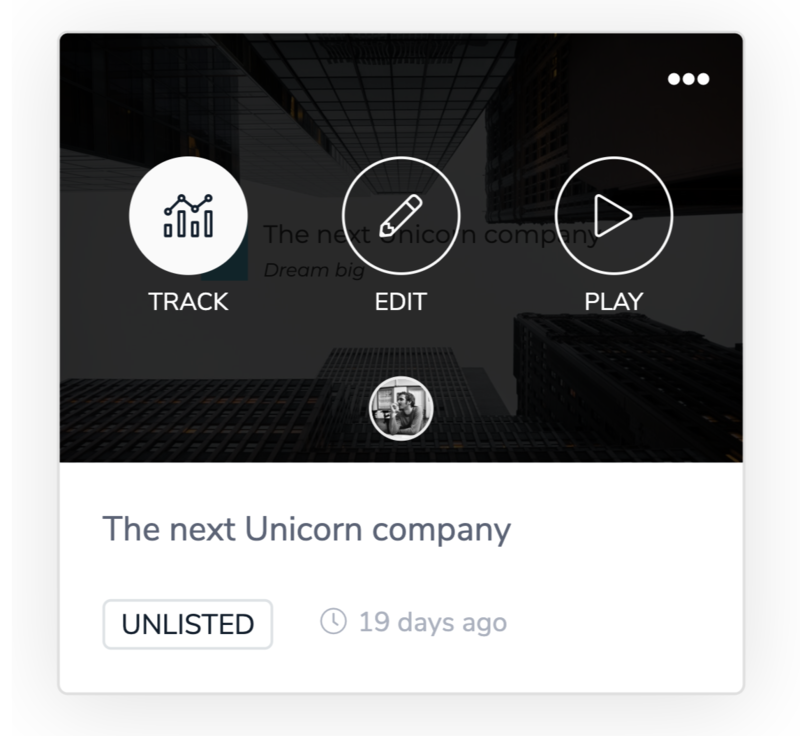 Once in the deck's details, you'll be able to see an Overview and sort it out in different time ranges: 7, 30 and 90 days. 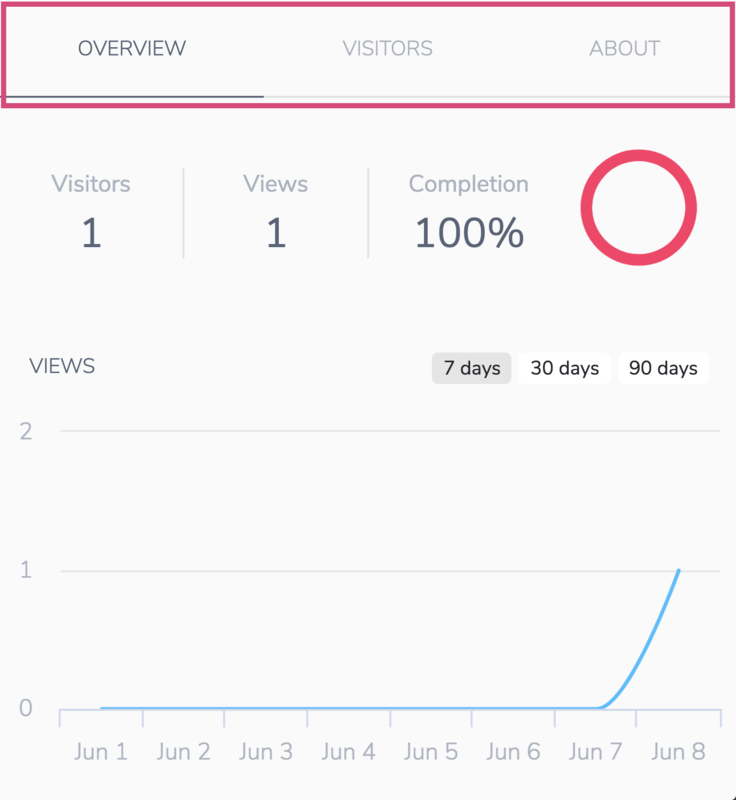 Here, you'll find the total Visitors, Views and the Completion rate. In the Visitors tab, you'll find the detailed stats for each view. 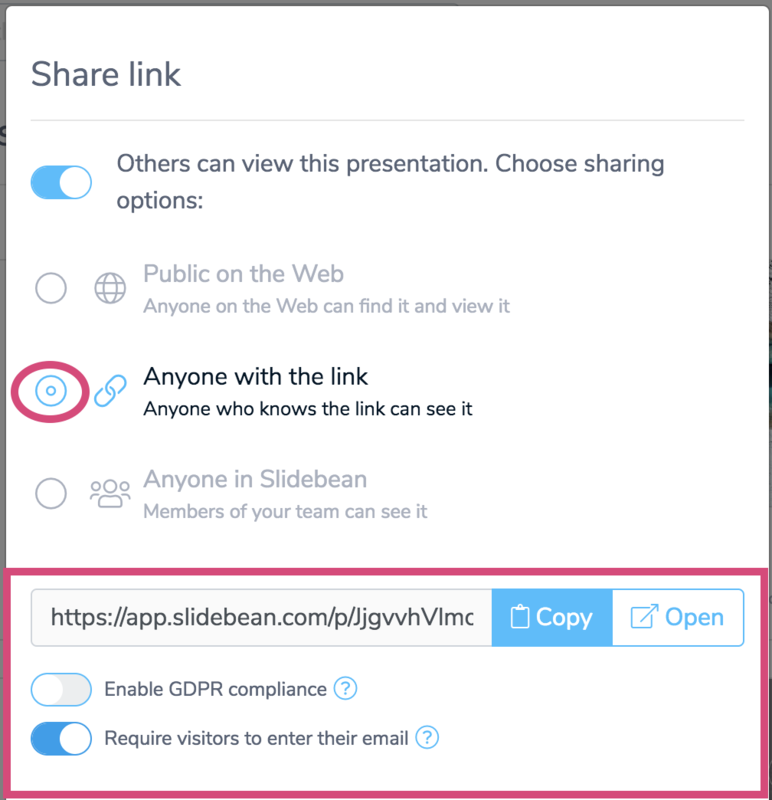 When sharing your presentation via URL link, you can request viewers to enter their email address so you can recognize their individual stats. Otherwise, the view will be logged as Anonymous. Find more details about Sharing settings here.